An international spy network, comprised of at least 10 agents, operating for the “Israeli” entity was exposed and subsequently arrested in Algeria, according to Channel 2 citing Arab media networks Friday. 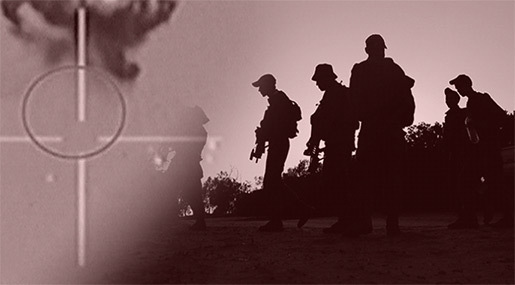 Reports indicated that the spies were operating in southern Algeria and held citizenship in a variety of African countries including Libya, Mali, Ethiopia, Liberia, Nigeria and Kenya. The suspects were arrested on charges of espionage, attempt to create anarchy and damaging national security. Communications equipment used by the suspects was also seized by authorities. Arab media reported that the “Israeli” entity’s foreign intelligence agency, Mossad, assassinated in December a Hamas member operating out of Tunisia. The target, Mohhamed Zawari, known to the “Israeli” entity’s security echelon as “The Engineer,” was found shot to death inside his vehicle in the city of Sfax, local media reported. Five suspects were later detained by Tunisian authorities, along with multiple vehicles, weapons and mobile devices. One Tunisian journalist said the killing was carried out by the Mossad, who had been following Zawari for some time, Channel 10 added. Zawari, an aviation engineer and scientist, was shot three to seven times by unknown assailants in his car near his home. Though, the motive behind his shooting remains unclear. According to Channel 10, the nationalities of the detainees included one suspect from the Netherlands, one from Morocco and the rest from varying European countries. About 200 people have protested in the Tunisian capital against the return of Tunisian jihadis who have fought abroad. The gathering Saturday was prompted by the deadly truck attack in a Berlin Christmas market by Tunisian Anis Amri, who had pledged allegiance to the Islamic State group and was killed Friday in a police shootout. Amri, 24, was slated to be deported home from Germany. Banners at the protest in front of Parliament in Tunis read “Close the doors to terrorism” and “No tolerance, no return.” Protesters waved Tunisian flags and sang the national anthem. 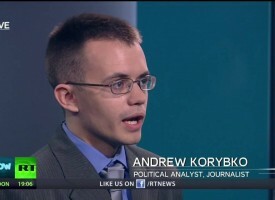 This text is slightly modified from an interview that Andrew Korybko gave to a Moscow-based PhD student specializing in the “Arab Spring” regime change events. Social media platforms were instrumental in organizing and deploying the regime change destabilizations that took place during the “Arab Spring” theater-wide Color Revolutions. They allowed the initiators of these events to more easily connect with tens of thousands of sympathizers and propagate their provocative messages to them in a bid to incite as many participating individuals as possible. Social media at that time was naively assumed by many of the masses, especially the comparatively uneducated and less technologically adept ones of the “Arab Street”, to be the “uncensored” and “genuine” “voice of the people”, ergo why so many people fell for the narratives (some of which were deliberately misleading or outright false) being spread by core organizers through these media. Had it not been for social media platforms such as Twitter, Facebook, YouTube, and even the technical application of Google Maps (which assists with planning ‘protest’ routes and urban guerrilla warfare), it’s doubtful that the so-called “Arab Spring” would have ever unfolded as it did, let alone at all perhaps. What happened in Tunisia and Egypt in 2010-2011 was the beginning of what the US hoped would be a transregional Color Revolution campaign, and it’s directly connected to the so-called “Green Revolution” which the US encouraged in Iran in 2009. The whole point of that latter exercise was to gauge the responses of the Iranian government – the strongest and most security-conscious of the Mideast states – and to identify structural vulnerabilities which could be exploited in the comparatively weaker countries of the region. The US only half-heartedly supported the “Green Revolution” because it was always meant to be a probing exercise, not a full-fledged regime change attempt, but it also had the intended aftereffect of signaling to the Ayatollah and his military-security “conservatives” that the US could do much worse against them at a future date if they don’t agree to what turned out to be forthcoming secret negotiations about the country’s nuclear energy activity. It also impacted the psyche of Iranian youth by emboldening them to vote for the “moderate” Rouhani four years later, which ultimately facilitated the eventual nuclear deal in summer 2015. The successful regime change campaigns in North Africa are emblematic of what my definition of Hybrid War is, namely the interweaving of Color Revolution and Unconventional Warfare tactics for the purpose of overthrowing a targeted government. What began as ‘peaceful’ anti-government protests provoked by external social media management techniques and in-country collaborators quickly spiraled into urban terrorism, with the main difference between Tunisia and Egypt being that the Cairo authorities held out slightly longer before capitulating to the insurgents’ demands. As would later be seen in the case of Syria, however, the government and the vast majority of the population united in their opposition to what they already knew was a foreign-concocted regime change plot against their civilization-state, which is why they resisted so fiercely and the Color Revolution instruments were ordered to transform into outright terrorist groups such as Al Nusra, Daesh, and other “moderate rebels”. The whole point behind the “Arab Spring” Color Revolution wave in the first place was to replace the governments in North Africa and the Levant with the Muslim Brotherhood, thus creating a transregional ideologically identical ‘super state’ which could be controlled by proxy via Neo-Ottoman Erdogan (just as the Eastern Bloc was controlled by the USSR up until a generation ago), though the geopolitical reality tremendously changed throughout the course of this campaign and thus prevented this wide-ranging geostrategic plot from succeeding. Foreign influence was crucially important in sparking the “Arab Spring” regime change riots, especially in North Africa. The first thing to remember is that the US works best when it’s operating indirectly, in this case, through the social and structural preconditioning that it carried out on these two states and their peoples well in advance of their formal destabilizations. Using a combination of macroeconomic instruments and ‘NGOs’, the US was able to both damage the Tunisian and Egyptian economies and consequently use various incitements to provoke the already agitated masses into coming out to the streets and overthrowing the government. It can safely be assumed that the US had at least several teams of in-country experts guiding the events, but for the most part, these operatives would not have had much success had it not been for the prior conditions that the US manipulated in shaping the dismal state of these country’s economies and fomenting widespread anti-government sympathies. Under such circumstances, all that it took was a highly publicized spark and carefully crafted Mainstream Media hysteria to set the ‘NGO’-social media apparatus into motion and craft a self-sustaining auto-synchronous destabilization which required minimal direct interference to execute its desired objective. Foreign-funded ‘NGOs’ were used as some of the most powerful tools to destabilize Tunisia and Egypt in the run-up to, and during, the “Arab Spring” regime changes. George Soros and the scores of organizations that he directly and indirectly sponsors engage in ‘investigative’ and ‘activist’ activity which seeks to uncover corrupt relationships between public officials, the financial sector, and others. In and of itself, there’s nothing wrong with legitimately indigenous civil-society groups engaging in political and electoral criticisms, provided of course that they’re grounded in facts and not deliberately disruptive provocations, and it should of course be celebrated anytime that a corrupt individual is exposed for their illegal and unethical behavior. However, the relationships that the said civil society organizations have cultivated, as well as their and their patrons’/partners’ intent, must also be taken into consideration. There’s a big difference between patriotic individuals carrying out the abovementioned activities for the intended betterment of their societies and internal collaborators conspiring with external (often intelligence-linked) organizers in plotting to sow unrest and topple the government. Sometimes it turns out that the latter category of “activists” are just “useful idiots” who have been duped by their naïve optimism, the comparatively hefty paychecks of their financiers, and/or the self-absorbed attention and sense of importance that they seek to receive from their work into unknowingly collaborating with forces which they aren’t even aware are foreign intelligence agents hostile to their home government. International ‘NGOs’ (INGOs) are oftentimes very shadowy like this and don’t regularly reveal their true intentions to their in-country staff, and some of them typically operate through ‘shell NGOs’ superficially based inside the targeted country, thus promoting the false perception that they are ‘indigenous’ when they’re not. In the context of Hybrid War, INGOs function as the catalysts in organizing large masses of people and propagating their external patron’s political message. They operate through a combination of deceit and openness; on the one hand, they usually don’t proclaim their true regime change objectives or emphasize their foreign origins, but on the other, they do whatever they can to spread awareness about their overt or strongly inferred anti-government agenda. There are some INGOs which are officially apolitical but are in fact inherently political organizations, such as some of those dealing with environmental and animal rights. It should be emphasized that this doesn’t mean that every one of these groups is necessarily working as organizational fronts for a foreign government or has an interest in overthrowing their host government, but just that some of the most well-known names in this field such as Greenpeace have a history of engaging in political disturbances and then propagating the authorities’ response to them as alleged ‘proof’ of the given country’s ‘undemocratic nature’ and ‘lack of free speech’, all of which in turn is predicated on stoking more anti-government resentment. As for those INGOs which are directly a part of Color Revolution destabilizations, the prevailing trend has been for them to flirt with Unconventional Warfare and urban terrorism by lobbing deadly Molotov cocktails at law enforcement officers, as well as committing crimes such as attacking civilian bystanders and vandalizing public and private property. Whenever the INGOs desire to launch a concerted ‘public action campaign’, as they euphemistically call it, and gather as many people together as they can to protest for or against whatever the carefully selected item of agitation may be, they’re in reality working to assemble a crowd in order to manipulate the inevitable mentality that’s associated with large masses of angry individuals and channel it into a ‘hive mind’ of easily guidable “activists”. These individuals are then subtly encouraged or outright goaded into sparking a confrontation with the authorities, usually by breaking municipal law in marching on a location which they weren’t legally permitted to assemble around and then violently resisting arrest. The whole point in these sorts of stunts is to prompt situations where edited footage can then be acquired by social media “activists” or sympathetic (collaborationist) mainstream media organizations in portraying the government as the “anti-democratic aggressor” and the “protesters” as the “peaceful victims”. As it relates to Hybrid War, this is intended to strengthen the domestic and international pressure on the authorities and introduce an implicit blackmail scenario whereby the government realizes that it must back down in the face of the incipient “protest” movement otherwise it risks aggravating already high tensions and falling under increased international (Western) condemnation. The perception of the masses has already been influenced to a degree whereby some apolitical individuals begin to sympathize with the “activists” and question whether they may indeed be right after all in accusing the government of “anti-democratic and human rights abuses”. Depending on the course of the destabilization and the decisiveness of the authorities’ response to it, some of the INGO members will then break off from the larger group and form their own urban terrorist cells, at times even dangerously using the unaware apolitical crowd of sympathizers surrounding them as de-facto human shields in warding off police countermeasures such as batons and tear gas. The self-sustaining and auto-synchronous cycle is apparent, and the escalation ladder suggests that the disorganized urban terrorists will eventually coalesce into more disciplined terrorist formations the longer that the Hybrid War is being waged, such as what happened in Syria up until the present day and in rural Western Ukraine right before the coup. If it were not for INGOs and the crowd mentality schemes that they engage in, it would be much more difficult for these actors to destabilize their host governments and promote regime change scenarios. It should be reminded, however, that many of the civilians gathering around the INGO core are usually unaware of the larger goals being pursued by the “protest” organizers. This is a convenient fact which is exploited by these groups to maximum effect in proselytizing their “official” public message to the masses and then steering their converts in the physical direction of being nearby the police’s response to the core provocateurs’ illegal actions, hoping that any ‘collateral damage’ that occurs to law-abiding civilians during this time can galvanize their incipient anti-government attitudes. It’s not likely that INGOs will continue to enjoy the same operational freedom under Sisi as they previously had during the last days of Mubarak, and this is simply owing to the experience that the Egyptian state has since received in terms of how these groups are used for regime change purposes. There’s also the very real threat that some INGOs are working with the outlawed Muslim Brotherhood terrorist group, which the US is slavishly sympathetic to, so national security must be considered by all responsible decision makers in Egypt when deciding on the future of INGOs. Concerning Tunisia, however, the country has historically been the most liberal of the North African states, and it doesn’t look like they’ll enact the necessary legislation needed to properly protect themselves from the regime change threat that INGOs are now associated with. Another reason is that they have the globally renowned reputation as being the ‘birthplace’ of the “Arab Spring”, which is still celebrated in the West as a “democratic uprising against totalitarianism”. Even though many Western observers have since wised up to the destabilizing consequences of these transregional Color Revolutions, Tunisia has been the least severely affected by them, which is why it’s still “officially” lionized in the Mainstream Media as the ‘birthplace of modern-day Arab democracy’. Like it was mentioned in an earlier response, INGOs have also developed a new trend of operating through ‘shell companies’ in order to obscure their foreign nature and more adeptly deceive the domestic audience that they’re trying to target. Instead of the “Open Society Foundation” directly funding whatever ‘NGO’ it is that they envisage promoting their political agenda, for example, they’ll fund a ‘shell NGO’ first and then use that entity to spread their seed funding all throughout the country. There has yet to be any legislation implemented anywhere in the world prohibiting this arrangement from happening or formally decreeing the recipients of the ‘shell NGOs’ laundered largesse as being foreign agents, which is a critical oversight that must be legally remedied as soon as possible by all countries concerned about foreign ‘NGO’-driven Hybrid War destabilizations. While North Africa probably won’t be the first place where this loophole is closed, Egypt might follow the predictable lead of Russia and/or China in likely doing so sometime in the future, and Tunisia might also be compelled to mirror this as well if it begins to once more suffer from INGO destabilization (perhaps with Muslim Brotherhood-sympathetic Western ‘NGOs’ funding violent in-country counterparts). Hybrid War researchers and national security services must keep an eye on George Soros, Gene Sharp, and Yanis Varoufakis. The first one is globally notorious for expending tens of millions of dollars on Color Revolutions and anti-government INGOs all across the globe, while the second one runs the Albert Einstein Institute and is the strategic-tactical architect for “people’s power” unrest. The third one isn’t commonly grouped in the same category as Soros and regime change, though he very well should be considering his links to the billionaire Color Revolution financier as openly evidenced through Varoufakis’ regular contributions to Soros’ “Project Syndicate” website. This online platform is known as a gathering place for ‘revolutionaries’ and those who desire to catalyze “change” in their societies, which is what Varoufakis now seeks to do. He launched a radical leftist-liberal organization at the beginning of 2016 called DiEM25, which he thenceforth described on “Project Syndicate” as being the beginning of a “Progressive International” which aims to defeat, among others, President Putin, who he intimates is part of a “nationalist international – a classic creature of a deflationary period – united by contempt for liberal democracy and the ability to mobilize those who would crush.” He also since said that Putin is a “war criminal” who “justifies his stranglehold over his own people”, which clearly proves that he’s in opposition to the Russian President and closely echoes what many of Moscow’s regime change opponents have falsely alleged. Given that DiEM25 hopes to become a continental-wide “Progressive International”, it must accordingly be seen as a far-reaching Color Revolution threat which ultimately aims to affect political change in Russia and cause public disruptions to Moscow’s investment deals and partnerships in the EU (per the aforementioned organizational tactics outlined in a previous answer). Varoufakis’ extreme left-liberal “revolutionary” views could become dangerously attractive to many European and Russian youth, and the Greek demagogue’s connections with George Soros – the man behind the banned Open Society Institute – should be enough cause for Russian decision makers to worry about his intentions and responsibly contemplate preventive action. As Russia continues its post-communist transformation in becoming a conservative civilization-state, one of its greatest enemies might turn out to be the “Secular Wahhabism” that Varoufaki and his Soros-supported ilk represent. As the Syrian crisis drags on and hopes of a peaceful resolution or, at the very least, a return to relative normalcy in Libya seem very distant, Algeria should, by now, begin suspecting that it might soon find itself in the Anglo-American crosshairs. There is now rapidly growing evidence that Algeria is doing just that. Having survived an attempted destabilization during the Western-inspired and Western-orchestrated “Arab Spring” color revolution, Algeria has been doing whatever it can to increase security in, on, and around its borders. For this reason, it has increased cooperation with its neighbor Tunisia, which has been the target of terrorists backed by the West and GCC nations. Having acted quickly and with an iron fist, any attempt to disrupt the functioning of the Algerian government was quashed during the stream of U.S.-engineered color revolutions and destabilizations. Yet, even though the “Arab Spring” style protests were short-lived and ineffective, Algeria has not simply rested on its laurels in the aftermath. 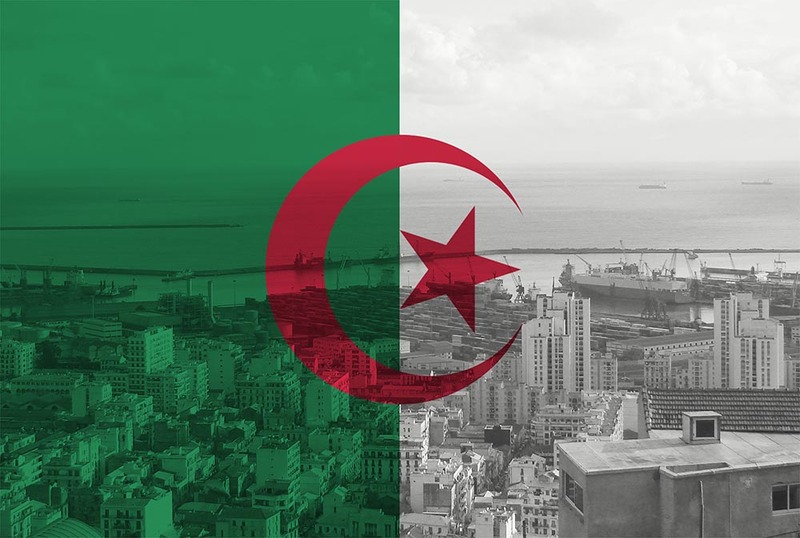 In fact, Algeria has moved to increase security, improve its military capabilities, and work with its neighbors to ensure that they do not fall prey to destabilizations or color revolutions in the future. Algeria has also moved to deepen its ties with Russia and those countries that are part of an unofficial but growing and obvious anti-NATO bloc. In other words, Algeria is moving closer to joining the multi-polar collection of nations attempting to act as a counterforce to the NATO powers. Two notable instances of increased cooperation between Algeria and the anti-NATO alliance are therecent provision of 40 attack helicopters by Russia to Algeria and the recent diplomatic visit to Syria by the Algerian government. The helicopter, known as the “Night Hunter” in Russia, is reported to be one of the best in the world, and it is capable of carrying out its missions in both day and night as well as in adverse weather conditions. The helicopter comes with a MI-28NE modification capability that allows the ship to be flown from the pilot’s cockpit and the operator pilot’s cockpit. The delivery of the Russian helicopters to Algeria is nothing new. In 2005-2006, Russia provided Algeria with 28 Su-30MKA, 16 Yak-130 jet trainers and 185 T-90S tanks. In 2015, a contract was signed for the delivery of 14 Su-30MKA fighters in 2016-2017. The transfer of the MI-28 helicopters is the result of a bilateral agreement between Russia and Algeria. “The Algerian military is satisfied with the quality of Russian weapons, which has proven itself well in the specific conditions here, namely the desert with its extremely high temperatures and sandstorms. So there are good prospects for continuing close cooperation in the military-technical area on a wide nomenclature of supplies,” Alexander Zolotov, Russian Ambassador to Algeria, told RIA Novosti in an interview. Yet, while the deliveries are not newsworthy in and of themselves, the context in which they occurare worth discussing. Algeria, of course, is becoming concerned with increasing amounts of ISIS activity in the region, notably in Libya and Tunisia and is focusing on policing its borders with the two embattled countries as well as with Niger and Mali for that reason. The Algerian government, which has reacted quickly to terrorist threats in the past, is perhaps worried that ISIS attacks may eventually begin to take place inside its borders, particularly as a result of Western targeting of the governmental structure in the future. In February, Algeria and Russia embarked upon a plan to deepen bilateral military and economic cooperation. In regards to Syria, Monday April 25, 2016 marked the first official visit to Syria since 2011 by any Algerian official, signaling a growing tendency to increase ties and cooperation with the embattled nation despite the crying and screaming of the United States, EU, and NATO. Earlier, in March, Syrian Foreign Minister Walid Mu’allem paid a visit to the Algerian capital where the stated goal of the visit was to deepen and strengthen economic ties between the two countries. Syria is not only no longer safe for IS, it has become a grave in which IS is being buried alive. This is thanks not to a successful anti-terror campaign waged by Washington and its allies, but by swift and successful operations carried out by Moscow, Tehran, and their allies in Damascus. Indeed, with IS supply lines being cut from their source in Turkey and their forces being pushed back across Syrian territory, liquidation of their assets in Syria is well underway. Likewise in Iraq, feigned US operations to stop IS have given way to an increase in cooperation between Baghdad, Tehran, and Damascus. What started out as an attempt to divide and destroy Iran’s arc of influence across the region has galvanized it instead. Moving the mercenary forces of IS out of the region is instrumental in ensuring they “live to fight another day.” By placing them in Libya, Washington and its allies hope they will be far out of reach of the growing coalition truly fighting them across the Levant. Further more, placing them in Libya allows other leftover “projects” from the “Arab Spring” to be revisited, such as the destabilization and destruction of Algeria, Tunisia and perhaps even another attempt to destabilize and destroy Egypt. IS’ presence in Libya could also be used as a pretext for open-ended and much broader military intervention throughout all of Africa by US forces and their European and Persian Gulf allies. As the US has done in Syria, where it has conducted operations for now over a year and a half to absolutely no avail, but has managed to prop up proxy forces and continue undermining and threatening targeted nations, it will likewise do so regarding IS in Libya and its inevitable and predictable spread beyond. Indeed, Gunnar summarizes much of what Algeria knows and fears in relation to IS and the NATO/Anglo-American scheme for world hegemony. For this reason, Algeria is preparing for the potential shift in the Western focus in terms of specific battlefields, moving from Syria to Libya and Westward from there. While not earth-shattering news, Algeria’s growing fondness for the Russian bloc of nations is yet another sign of Washington’s loss of influence across the world and the increasingly bankrupt position held by the U.S. and NATO. Decision Against Hezbollah), the author (Islam Al-Rawashda) opens his article by saying that it is not surprising to see the Saudis go after Hezbollah. In his next paragraph however, he is questioning how did the PA allow itself to join the “gang” and endorsed the decision against Hezbollah. Isn’t Hezbollah engaged in fighting Israel? Did it not liberate Arab land from occupation? Does is not support Palestine? These are the kind of questions he asked. But the official Hezbollah spokespeople seem to unwilling to engage in making anti-PA statements. Clearly, they don’t want to give their adversaries more ammunition and do not want to be seen standing against Palestinians; not even their corrupt pro-Saudi authority. If we wind the clock back a bit, just a few years earlier, we can clearly remember how both the PA and Hamas have sided against the Syrian government. Here we ought to remember that had it not been for the Syrian government and its support to the different Palestinian organizations in the 1970’s onwards, they would have vanished. After all, the official Hamas HQ was actually in Damascus for many years, and it was in Syria where Khaled Mashaal operated until he moved to the Five Star Hotels of Qatar and Istanbul. 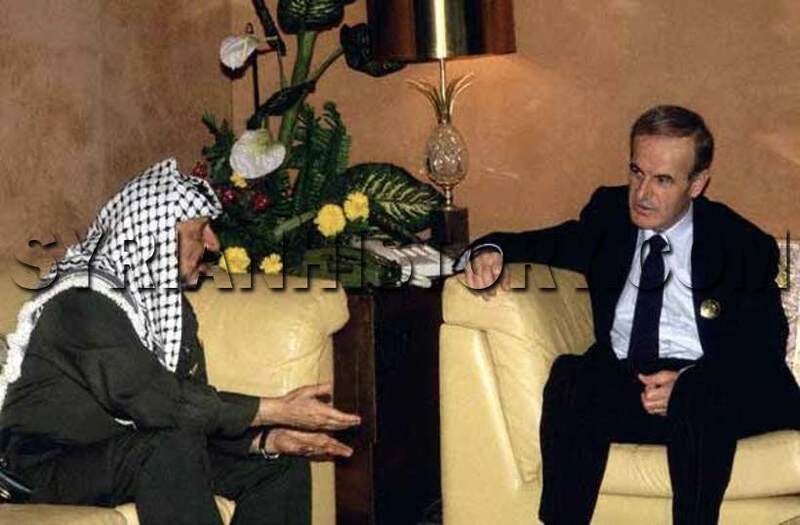 And the whole breakdown between Arafat and Assad father in 1976 onwards was based on Arafat’s insistence on the so-called “Palestinian Decision”. Assad tried in vain to convince him that the Arab-Israeli conflict is much bigger than what the Palestinians can handle. He tried to convince him that this matter is as important for Syria as it is for Palestine. He reminded him that Palestine is the southern region of Syria, but to no avail. Arafat wanted to be the master of his decisions even if this screwed up the entire Arab World around him. Hezbollah Secretary General Sayyed Hasan Nasrallah asserted on Sunday that the Zionist entity and all the allied Arab regimes will fall all together, noting that the Arab people have stressed that ‘Israel’ will keep their enemy. Delivering a speech during Hezbollah ceremony to mourn martyr commander Hajj Ali Fayyad, aka Alaa of Bosnia, Sayyed Nasrallah said that the party highly appreciates all who supported the Resistance against the Gulf decision to label it as a terrorist group. His eminence noted that the recent tension which struck the Lebanese-Saudi relations is attributed to KSA’s 5-year catastrophic failure and disappointment in Lebanon, Syria, Iraq, Yemen and Bahrain. Sayyed Nasrallah added that the Saudi regime had expected that few weeks would be enough to defeat their opponents in Yemen and Syria even if the successive rulers were the terrorist groups, which denies KSA’s anti-terrorist claims. Sayyed Nasrallah explained what happened in one of the care houses few days ago in Yemen’s Aden where the terrorists stormed the building and killed a number nuns, Muslim elders and Indian nurses, considering that they are disbelievers. We understand the rage of the Saudis who wanted to blame Hezbollah for all their failures in the entire region, according to Sayyed Nasrallah who emphasized that the Resistance feels proud for being viewed as the party who can frustrate the Saudi schemes. Accordingly, the Saudi blacklisted Hezbollah as a terrorist groups, Sayyed Nasrallah pointed out. Sayyed Nasrallah considered that the popular reactions in a number of Arab countries sent a clear message to Israel that the Zionists can never be the guards of the Sunni Muslims. On the contrary, Sayyed Nasrallah cited the instance of the Egyptian parliament where one MP beat his colleague with his shoes for receiving the Israeli ambassador in his house, what stresses the real attitude of the Egyptians towards the Israelis despite Camp David agreement. None of the Arab regimes will be able to normalize its relation with the Zionist entity, Sayyed Nasrallah said. Saudi will soon discover that it has lost its battle in the entire region, according to Sayyed Nasrallah. Hezbollah leader tackled the various stages of the martyr commander Hajj Ali fayyad’s life, stressing his fight against the Zionists in southern Lebanon, against the Serbian army in Bosnia and against the terrorists in Syria and Iraq. Sayyed Nasralah highlighted that Hajj Alaa joined Hezbollah during 1980’s as a fighter when he was young, believing in the autonomous capabilities of the Resistance to confront the Israeli occupation regardless of the Arab official support. Sayyed Nasrallah hoped that the Arab countries halt troubling the Resistance as they did during 2006 war, adding that the Arab regimes, including mainly the Saudis, have always worked to protect ‘Israel’ in order to keep their thrones by stirring the Sunnite-Shiite seditions. We have resorted to the resistance path in order to liberate our territories and defend our country against the Israeli enemy, and the Arab countries that are blacklisting Hezbollah nowadays have not had anything to do with the Resistance, according to Sayyed Nasrallah. Sayyed Nasrallah said that Hezbollah sent a group of his fighters and commanders toBosnia during the nineties, including Hajj Alaa, to defend the Muslims, wondering if this act can be considered as terrorist. Sayyed Nasrallah added that Hajj Alaa went to defend the Sunni Muslims in Bosnia, sacrificing martyr Ramzi Mahdi, for the sake of Holy God. On the contribution of Hajj Alaa in Iraq, Sayyed Nasrallah clarified that after ISIL terrorist group invaded in 2014 Mosul, Anbar, parts of Salaheddine and Kirkuk and reached areas near Baghdad, and entire Iraq became in danger; the Iraqi leadership asked us to send a number of commanders and military trainers to help the local forces defend their country. “It would be misleading to think that we would wait for the Arab League approval in order to help the Iraqis against ISIL. We were fighting in Iraq under an Iraqi leadership, and if we were fighting under an American leadership, they would not label us as terrorist,” he added, referring to the GCC resolution. “Arab chivalry is when every Arab goes to Iraq to defend the dignity and holy sites of the Iraqis, not to label those defending Iraq as terrorists,” Hezbollah Secretary General went on to say. Sayyed Nasrallah tackled martyr commander Ali Fayyad’s role in Syria, saying that Hajj Alaa was also one of the first Hezbollah military commanders who joined Syria fight against the terrorist groups, adding that he was injured several times, but that he rejected to stop fighting in Syria till martyrdom. Hezbollah is completely convinced that his role in Syria is constructive, according to his eminence who added that no one can prevent the Resistance from doing what it considers as suitable, nor can others force it to carry out any step if it rejects. The Resistance will keep the Umma’s hope of defeating the enemies, if God wills, Sayyed Nasrallah concluded. Hezbollah Secretary General started his speech by offering condolences and congratulations to the family of martyr commander Ali Fayyad on his martyrdom, hailing the long and historic sacrifices of Hajj Alaa on the path of the Resistance for the sake of Holy God. His eminence also condoled and congratulated the families of all Hezbollah martyrs who embraced martyrdom recently in Syria. Sayyed Nasrallah’s speech was during the ceremony that Hezbollah organized to mourn martyr commander Ali Fayyad in his home town, Ansar, in southern Lebanon. The ceremony started with a recitation of Holy Quran verses before a footage that shows glimpses of the martyr’s achievements and contributions was displayed. Then, Hajj Alaa’s son, Hadi, delivered a speech to eulogize his father, stressing that he will would stick to the martyr’s path. فلسطين | إسرائيل تسأل «السنّة» عن الدعم الإيراني!